OK, so I’m not sure I’d ever imagine being grateful for orange paint sprayed on my floor, but guess what? I am. 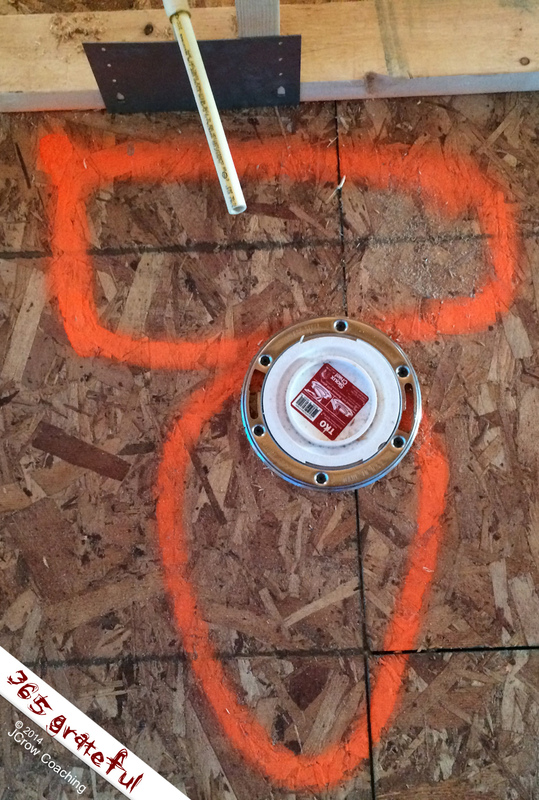 Grateful for the progress on our house that’s represented by construction art — the outline of the toilet in our bathroom, complete with pipe and a hole in the floor. Woo Hoo!